Amvrakikos Gulf is semi-closed sea in the north-west part of Greece. It is watered by plenty of fresh waters and sediments, thanks to the rivers Arachthos, Louros, Vovos and Krikeliotis. It has a warm climate, shallow waters, many lagoons of a small depth and marshlands. All these favour the development of local flora and fauna, making the gulf one the most important wetlands of Europe. 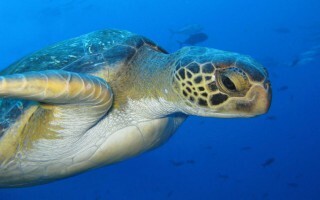 ARCHELON’s activity the past years has confirmed a significant presence of turtles in the area, especially near the estuaries of the rivers in the north-east part of the Gulf, although there has not been a record of a nesting site within the Gulf. The ecosystem of the Amvrakikos gulf is one of the 11 wetland regions of our country that have been characterized “of international importance” and are protected by the international treaty RAMSAR. 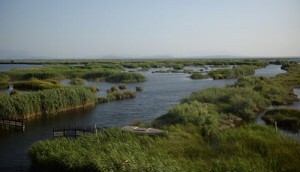 Due to the rarity of the morphology of the area, and also due to the presence of rare and endangered species, the wetlands have been included in the NATURA 2000 Network, the Barcelona convention (a convention on the protection of the Mediterranean Sea from pollution) and is protected by virtue of the Berne convention (regarding the conservation of European wildlife and natural habitats) and the Bonne convention. 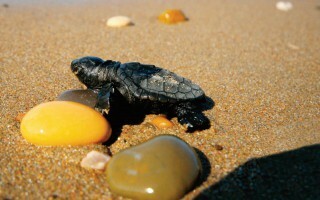 The need to protect and preserve the area’s unique ecosystem, has led to the establishment of the National Park and the Amvrakikos Management Body, in 2008, that specifies usages, conditions and restrictions for the terrestrial, aquatic and sea regions of the Amvrakikos Gulf. 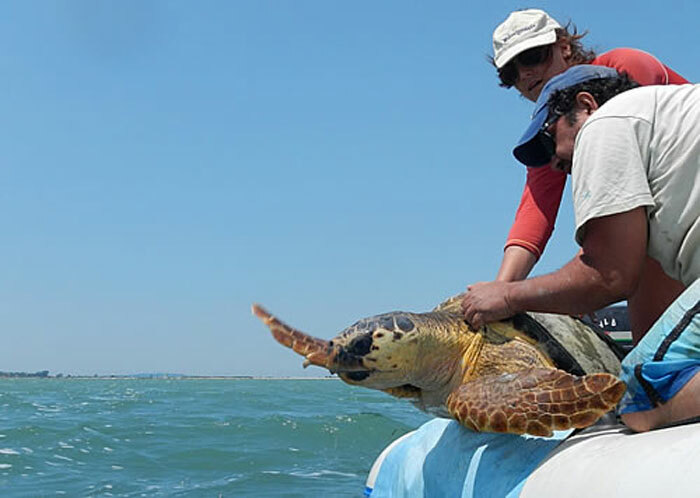 ARCHELON has been monitoring the area for the past decade in order to research the turtle presence by spotting, tagging and satellite tracking the population. Last year’s positive data has led us to establish a full season project in the area for the first time, in order to gather more information on the population’s activity. 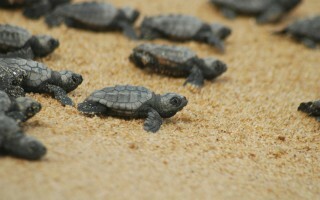 The field work consists of turtle monitoring and raising public awareness in the local community. Volunteers will have a closed contact with the turtles as they will be trained to spot and capture them in order to gather all the data needed.